Shayla Who? 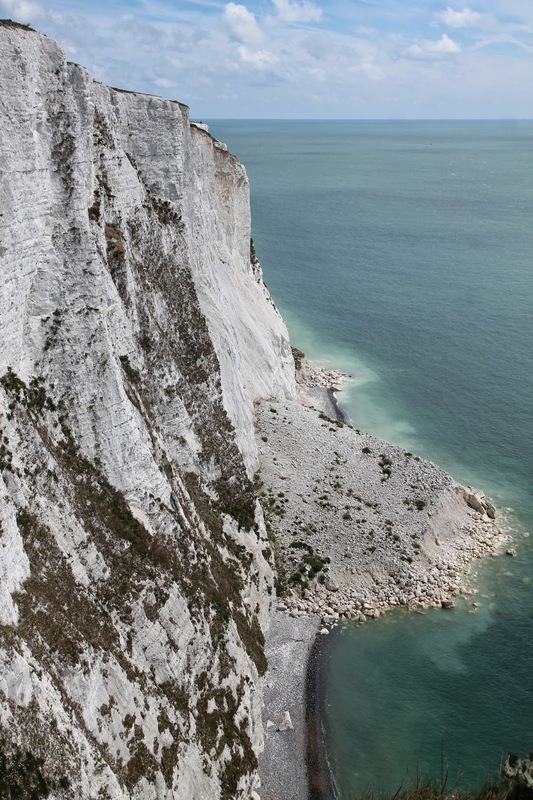 : euro-whirl 2014: the white cliffs of dover. 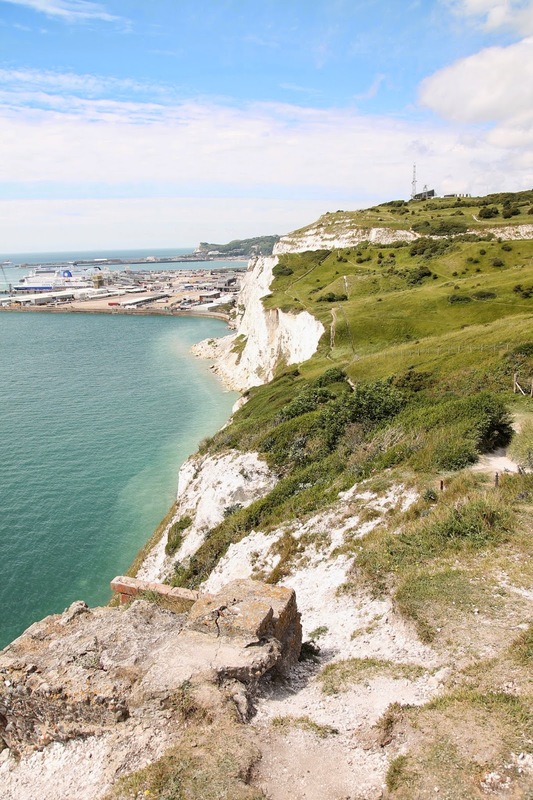 hiking along the cliffs of dover was far & away one of our favorite moments of this trip. 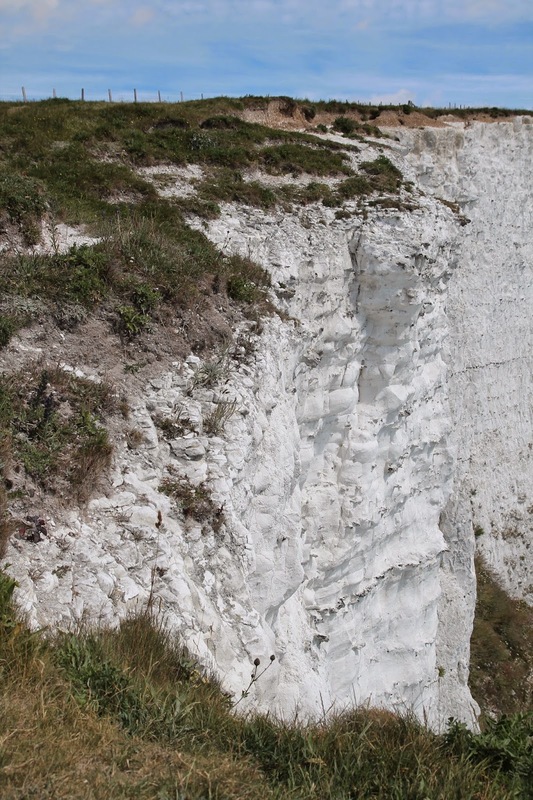 it was a warm, calm day, & the bright white of the cliffs were so startlingly beautiful. have you ever seen the beatles movie help!? it's so wonderfully quirky & kooky. my siblings & i grew up on that movie, & it's endlessly quotable (although perhaps a little less so than the beatles other movie, the delight that is a hard days night). 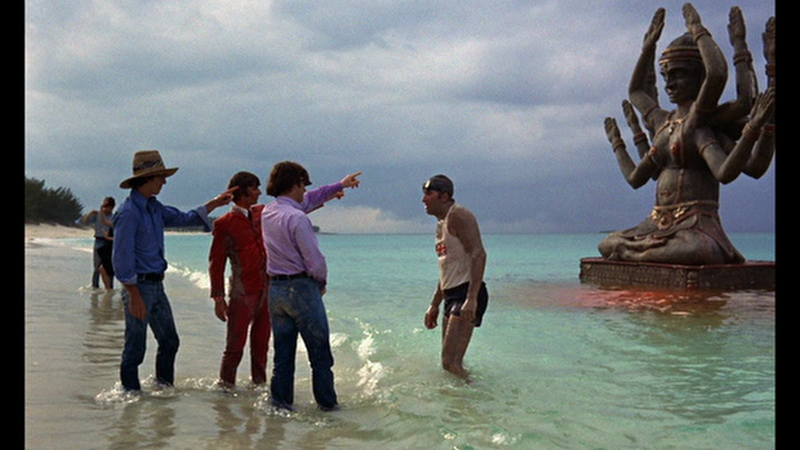 anyway, there's kind of a running joke in the movie that this swimmer swims up, randomly, & asks the group where a certain landmark is. at one point, the beatles are curling out on the ice & one of the stones (?) is actually a bomb (why would somebody be trying to blow up the beatles, you ask?! it's a long story. watch the movie!) anyway, they escape the bomb but it leaves a huge hole in the ice after blowing up. out of the frigid water of the ice hole pops this swimmer, who flips up his & asks, "white cliffs of dover?" after just looking at him for a split second, john points the way, the swimmer readjusts his goggles, & disappears back under the water. it's so great. i tried to find a clip of this online, but alas, i could not. but here's a still from that part in the film. funny. the swimmer (who was actually played by the beatles' road manager & assistant, mal evans. trivia!) shows up again at the very end of the movie. while we were walking along the cliffs i kept thinking of that part. everything was so peaceful right up against the ocean. what i'd love to do someday in the future is ride the ferry that sails from dover over to france (we could see france from the cliffs!) 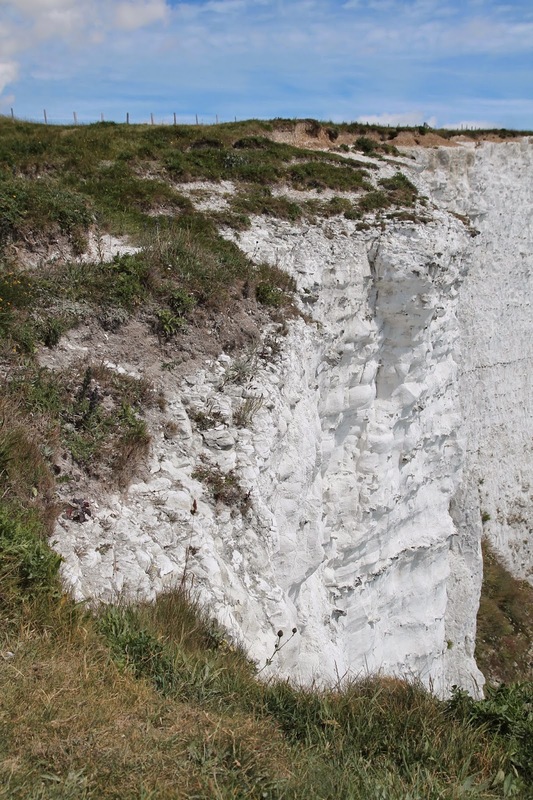 & get a good look at the white cliffs in their entirety from out in the water. man oh man. the best little seat right there. right up against the water! i don't know how ben managed not to be in a single photo from this photo, but daggum, he got away with it, the sneaker. the white rocks felt kind of cool - all smooth & chalky.